Sometimes a yarn plus pattern come together to create a marvelous entity. I really love the designs of Rosemary Hill (aka Romi). She creates lace work which to my eye is simply lovely -- the shawls and scarves, many with beads, really sing to me. 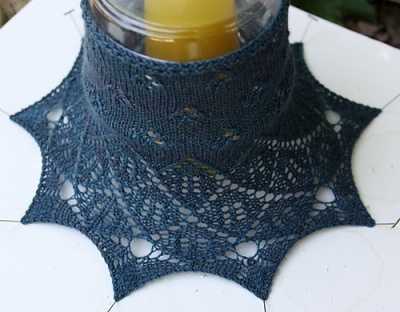 When we were able to get her Merope's Cowl I was simply thrilled. 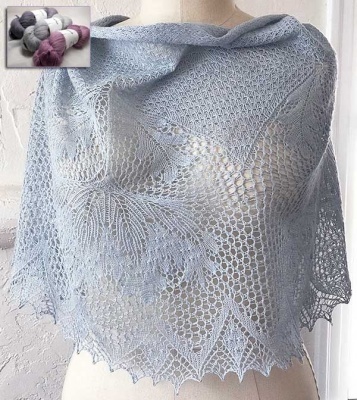 This is a fairly simple cowl design, based on her larger Merope shawl that she had created for her first Seven Small Shawls to Knit e-book. As an extra added bit of wonderfulness (is that a real word?) 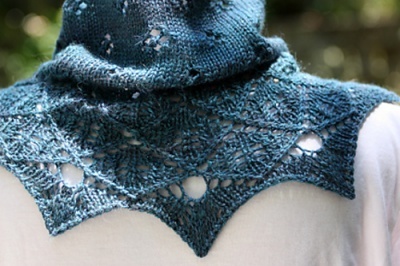 the yarn she used is one of my absolute favorites. Road to China Light from The Fibre Company is an amazingly delicious melding of 65% baby alpaca/ 10% cashmere/ 10% camel/ 15% silk. And yes, it feels every bit as delicious as it sounds! 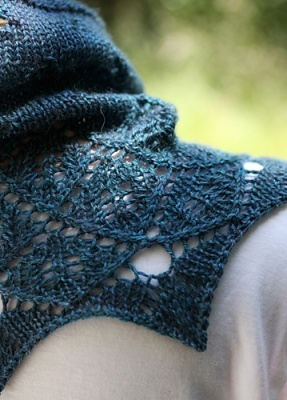 So to marry the two together -- lovely cowl design plus absolutely yummy yarn -- well, what could be better? 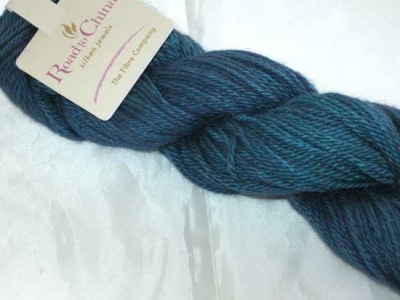 The cowl requires only one skein of this beautiful yarn (159 yards to each 50 gram skein) and we got in the exact colorway that Romi used to make her original. Lapis is the blue teal that Romi used in one of her original ones that you see in the photos on this page. Rich and cool and lovely lovely lovely. 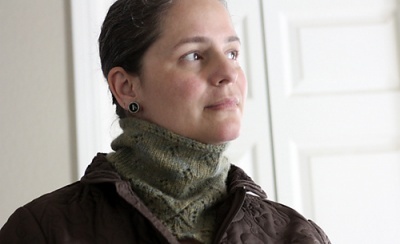 And just a thought -- even though Romi hasn't incorporated beads as part of this cowl, doesn't mean you can't. I think they could look marvelous. Note also that the kit will not automatically include the pattern. I know some knitters already have the pattern. 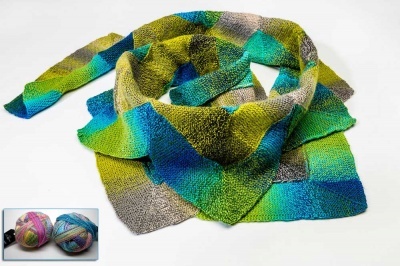 Others may prefer to get it directly as a PDF file of the pattern from Romi --- as part of her larger ebook, via her Ravelry web page. For these options, set the Pattern drop-dwon menu above to No Pattern Needed. Alternatively, if you would like a printed copy of just this one pattern, we can do that. Please make sure the "Pattern" drop-down menu is set to that. We also can email the pattern to you (just be aware that it is not automatic; I have to manually send it to you and generally do that right as your order is ready to ship out). Just make sure that drop-down menu is set as you would like before you check out.